Make the perfect margarita jello shot with these easy, incredible and delicious jello shot mixes! Simply add boiling water and tequila (if you feel so inclined) and pour the mixture into jello shot cups. Party preparation has never been easier! This was my first time ordering from kegworks. 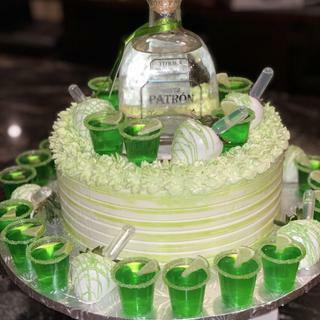 I used the margarita Jell-O shot mix to tye into a themed cake I was making for a customer. They came out great! I will definitely be ordering again! I drink Margaritas and think this would be interesting. BEST ANSWER: The ingredients listed on the package are as follows: sugar, gelatin, citric acid, maltodextrin, natural and citrus flavors. Cheers! How many pkg are in one order? BEST ANSWER: These are priced individually, so you get one packet for $4.49. Each packet makes approximately (35) 1 oz servings. Cheers!